FRESH 16oz glass bottles Hubert's Mango Lemonade!!! One sip of Hubert’s Mango Lemonade and you’ll be swept up in summery visions of lush jungles, exotic beaches, and maybe even an elephant or two! 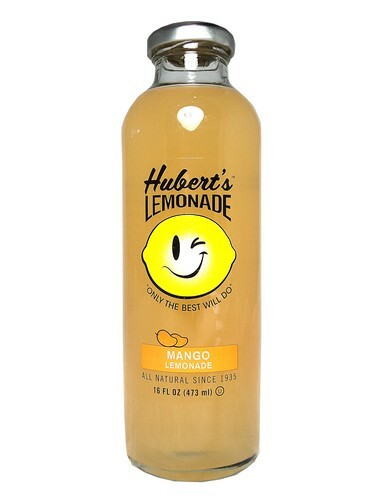 Hubert's has blended rich, sweet mango flavor with their original recipe for a tropical twist you’re going to love.